The heavy competition in the bathroom industry can make things difficult when picking out a water closet that is good for you and your whole family. So the space is always a big problem when it comes to ideas for remodeling our houses. Since most of the houses today are compact in dimensions, we feel quite confused when faced with the idea of renovating it. And the challenge springs by leaps and bounds when we think of redesigning the compact bathrooms. With such limited space available, how will we ever come up with a better plan that changes the look of our small bathroom? Do you also want to increase the space of your bathroom? Are you running short of plans here? Well, let us help you with the best idea ever! Corner, triangle, isosceles triangle, three-corner square, whatever you want to call this kind of toilet, you always can purchase a corner toilet for your bathroom and make the most of the space that you have. The following article will widen you knowledge about the best corner toilet and also help you to choose the best one that suitable for your own bathroom. Go ahead and check out the cornet toilet reviews below before making up your mind. Let’s take a closer look! This is a good choice if you are looking for a space saving but still providing great height and style, then you came to the right place. The features that make this toilet different from the traditional ones are its totally different look and stylish design. It is an ideal toilet seat if space availability is a problem for you. 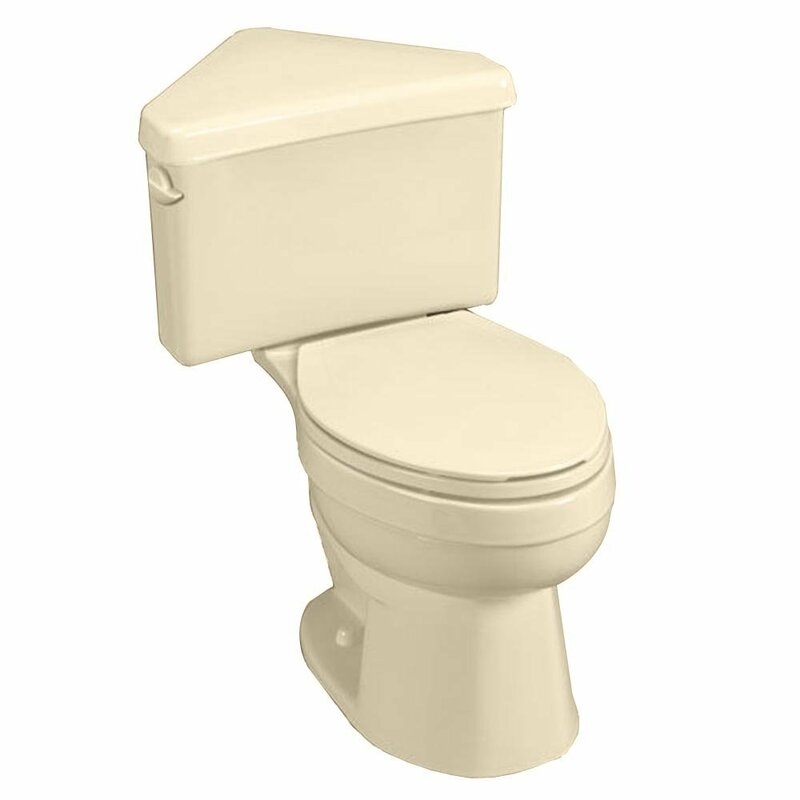 The Titan Pro Right Height Elongated Toilet has great height- from the floor to the bowl is 16 ½ inches together with a elongated seat it totals 17 ¾ inches. With the triangular tank, the American Standard 2840.016 model will fit perfectly into any corner. Please do not worry if you’ve never set up a toilet yourself before, because installation is quite simple. This added height is taller than your regular toilet height, which makes it great if you have some problems with your back or if you have elderly people in the house. I'm sure it hits the comfort height criteria. There is absolutely no adjustment is needed to guarantee your waste disappearing forever. So flushing is what you expect. It is also very efficient with a 1.28 gallon per flush, you will never know that you are actually saving a lot of water. This makes it a smart choice to contribute towards a sustainable environment. 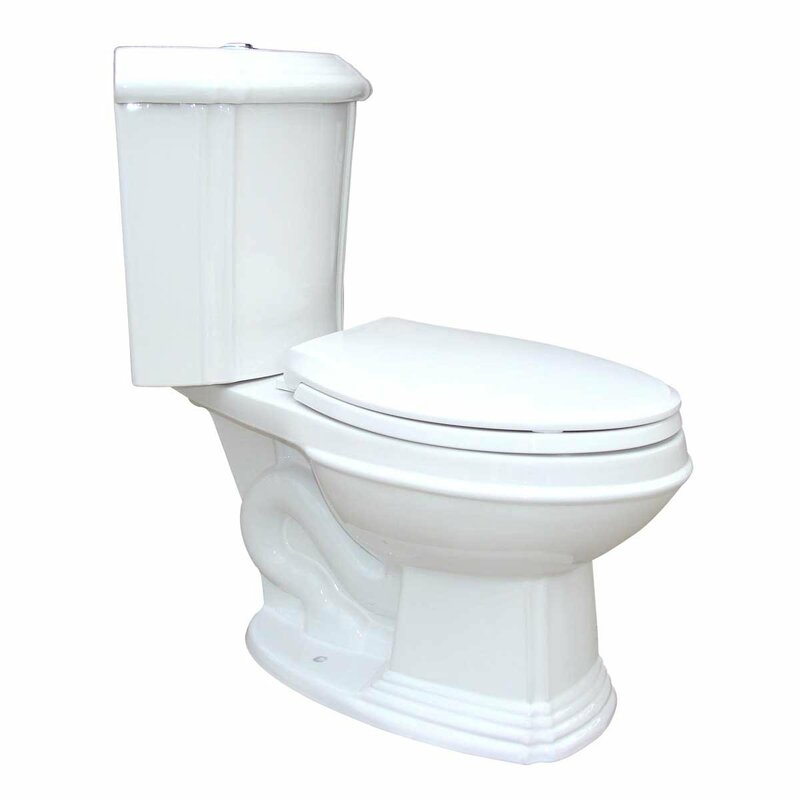 A 10-year warranty is also provided from the manufacturer’s side (American Standard Toilet) to ensure easy replacement or service. The only thing which turns against this toilet, is that the seat is not provided with the pack and can be purchased separately and there is only one color option - Bone. It’s very simple, yet functional. This deal is really suitable for anyone who just wants something simple, but also wants to save space in the bathroom. This is another great triangle toilet for any small bathroom. 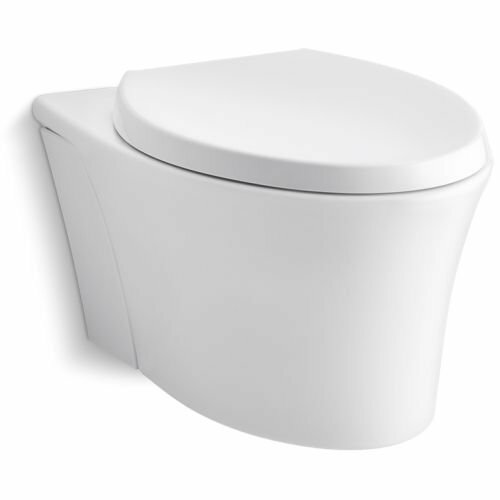 One of the main features to look for in toilets is durable and this unit certainly meets the requirement. It’s also easy in clean due to the construction, which is another plus. It will reduce how much time is needed to keep the corner toilet clean. Another feature that helps to keep it clean is the Ever Clean anti-microbial surface, which is a key feature for keeping the toilet as clean and hygienic as clean. The unit is compact so it will be an excellent option for a small space and can fit in a small bathroom. You’ll still have to buy a seat since it’s not included with the toilet. The Cadet-3 triangle toilet is a gravity assist flushing system that uses 1.6 gallons of water per flush. The triangular tank holds enough water, more than the conventional 1.6 gallons of flush. The extra water in the tanks provides additional pressure for the normal flush, so you can guarantee you will never see your wastes ever again. It also includes an oversized 3-inch flush valve and a flapper that is chemical-resistant. When picking a bathroom fixture it’s important to consider not only the unit’s design but also the mechanics like the flush valve. This will help to provide the best experience. All necessary parts are supplied (except the supply hose), so installation is a breeze. No additional tools are required as it comes with what’s needed. This is a great unit from American Standard that retails for a good price. It does come with a number of good features worth getting right now. First of all, the model is ADA compliant. You get that it comes at the right height and also feels generally comfortable using it. Since it comes with an elongated bowl, you get that the model would deliver on some good comfort when using it. The Cadet 3 is available in several styles. That includes ½ piece models, round/elongated front bowls, and compact/right height versions. These are all helpful in providing you with the right corner toilet for your home. When it comes to performance, you will be suprise just how strong the flush of this model is. The corner toilet was designed in a way that will maximize performance. That includes reducing the number of clogs that take place. The design of the flushing mechanism makes sure that you never have to worry about the model not working great. It will deliver on some good performance and thus cleaning the toilet in a single flush. In a way, this helps with saving you a lot of water in the long run. The model is also really good when it comes to saving you water per flush. This is because it uses only 1.28 gallons per flush. As you can see, it is even better than what you get with most modern toilets. This is because most toilets would be using 1.6 gallons of water per flush. Having to save a lot more water with a toilet is something you would like. Moreover, it does weight around 60 pounds, which should make the installation part easier. It also comes with a two-piece design that allows for fast installation as compared to models with many parts to setup. This is a unique blend, which ensures style and performance, the toilet system is known to do its job perfectly. It is available in white color and vitreous China material, which is the reason of its durability and strength. 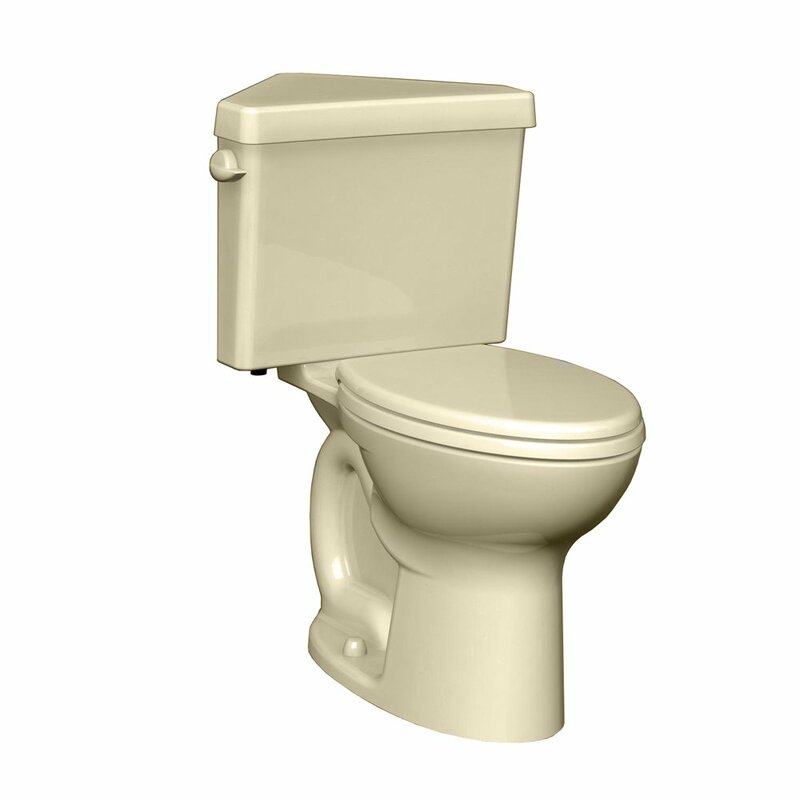 The corner toilet comes in different bowl styles like elongated and round, each having its own advantages and disadvantages. The seat is available with round bowls will help you in space saving and cheaper in price. This toilet system comes in dimensions of 32×19.2×31.5-inches making it a not-so-big toilet seat which otherwise consumes larger space. Its design and color are such that it will add to the looks of your bathroom. It is an ideal toilet system for all those who are living in areas facing water availability issues. It only requires 1.6 gallons per flush, make sure that not even a single drop is wasted. It has a 3-inch valve for flushing which also features chemical resistant flapper. This seat comes with an effective Ever Clean anti-microbial surface, which does not let bacteria and harmful germs to grow on your seat and to cause various diseases. This does not let any infection to spread among people after regular usage of the toilet seat. Due to the vitreous China construction, cleaning this seat is very easy which will not waste too much time. The main reason why people are always pleased after using this toilet seat is its smart flush, which does not need a hard push but just a gentle touch for its operation. When looking to save on space, have you ever think about a wall hung model? That's means that you can mount it in any position that you like. This makes it quite the versatile model to own right now. Although this is not like the traditional one as some of the other models on the list, this Veil model from KOHLER takes up even less space than the others do because it hangs on the wall. The tank and all the other parts that you need to use it remain hidden inside the wall too. It even conceals the mounting hardware that comes in the box inside the bowl and uses plastic panels to help you access that hardware once it is on the wall. This makes it quite the versatile model to own right now. The model also does present you with an elegant and clean design. As a result, you would definitely enjoy seeing this model in your bathroom. It will deliver on some good looks complementing your other bathroom décor. It does come with the best elongated toilet bowl. Having an elongated bowl keeps it being comfortable for you. This is because the elongated bowls always have more space as compared to the round shape models. You also get that it comes with ease of setting up the seat. You can be sure to have a good time owning one right now as compared to those on the market nowadays. The model generally feels durable and clean thanks to the materials used and the white color, that makes the toilet just look clean. Depending on the decoration of your bathroom, you may have the option of mounting this in a corner with or without some extra tools and supplies. The grip tight seat closes smoothly and silently against the rim and also leans back against the wall to give your back some extra support. Another top performance corner toilet you can get on the market right now. It does boast of having the best in terms of simplicity and ease of use. The installation can also be easy since it does take up less space and there are only a few parts that you have to install. As a result, you can even take it on as a DIY project (Do It Yourself). There is no doubt you would enjoy owning one immediately. The triangular tank found on this product is a little different than those on other models because it has sharper edges and extra pieces that wrap around the sides to sift flush with the walls in your bathroom. It has a seat height of just below 15 inches that is a little shorter than others and has a standard 12-inch rough-in. This one also comes with a seat, but the seat uses a plastic material that might be a little uncomfortable. The model is seen to be the both scratch and stain-proof which also resistant to most scratches, compared to what you get with the other models. In the end, you now have a model that will look clean for longer. This is tanks to having the RenoGloss Finish. The finish is super smooth to make sure that no stain or bacteria left can attached easily to the toilet. As you can see, the toilet definitely feels safe to use all the time. Furthermore, the thing you will definitely enjoy about this model should be its dual flush capability. The dual flush means that you get to choose the mode of flushing depending on the waste. One mode uses less water as compared to the other. The model does come with an impressive flushing mechanism that will easily clear the waste in a single flush. You should absolutely enjoy owning one right now. Overall, you should find the model being comfortable and suitable to use. This is because it does come with a comfortable height. As a result, it should be great for children and adults alike. There is no doubt you are going to have a good time owning one today. Whatever features you want your toilet to have, they need to fit your budget. Obviously, the more innovative and feature-rich a toilet is, the more expensive it will become. Make sure that you have a clear idea of your price range so that you can minimize your search time. There are so many models exist when it comes to the corner toilet types. As a result, you might have been confused just which model would be the best. From the list above, you now have an idea what makes a good model. You can totally be sure that the model you get to pick will always deliver on some good performance. These toilets are designed to keep the user having a suitable and comfortable time using them. It is the reason they are becoming more popular today.